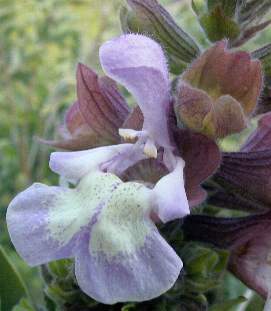 South African Sage foliage has a pleasing yet unusual scent. Dark maroon flower bracts are striking against the lavender-pink and white flowers. This plant has been discontinued. You might try Pt. Sal Sage.